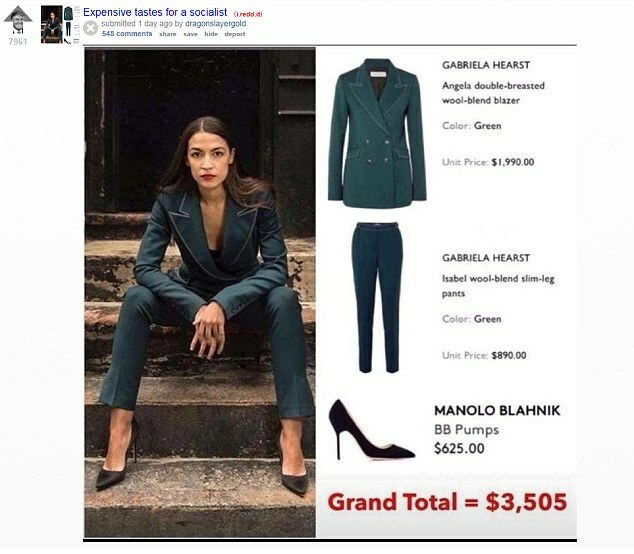 Fashion and politics often go hand in hand, but ‘democratic socialist’ Alexandria Ocasio-Cortez has been dubbed a hypocrite by conservative critics after wearing a designer suit for a photo shoot with construction workers. 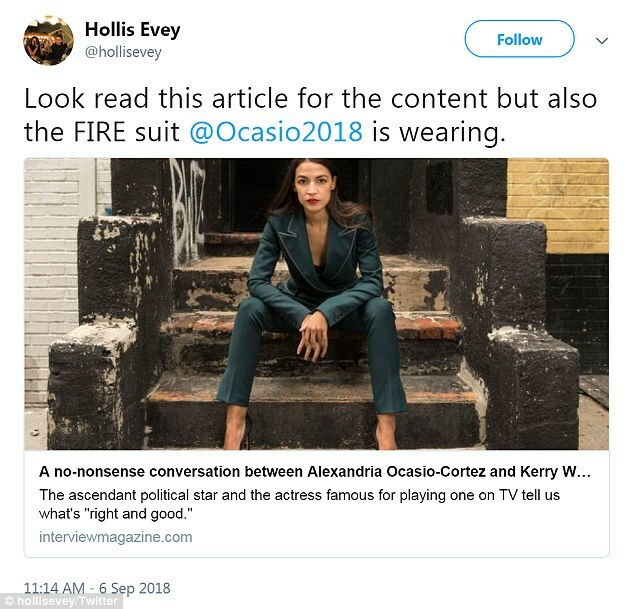 The 28-year-old congressional candidate is modeling a $1,990 Gabriela Hearst double-breasted blazer and $890 matching wool pants in the pictures accompanying her Interview magazine interview with actress Kerry Washington. The sleek designer outfit, which was likely chosen by a stylist, was paired with $625 Manolo Blahnik pumps, bringing the grand total of the ensemble to $3,505. 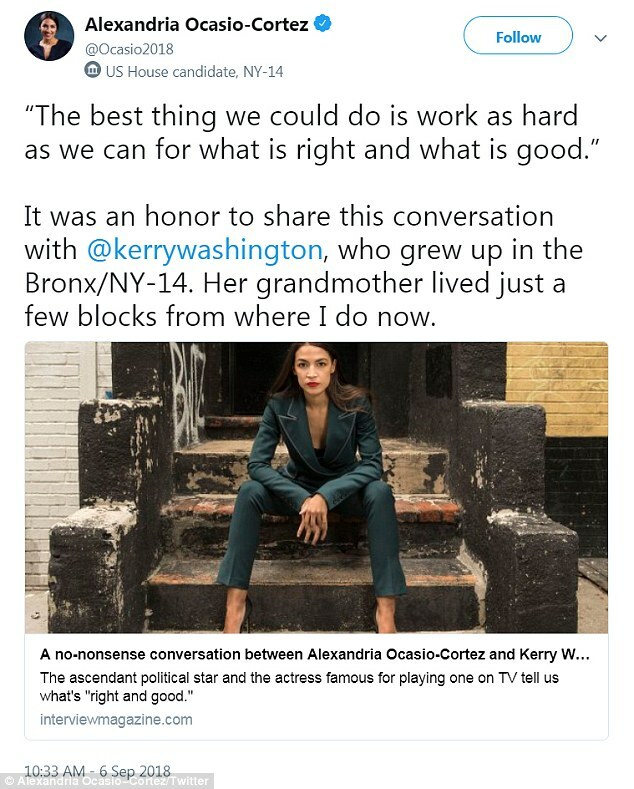 While promoting the interview, Ocasio-Cortez shared photos from the shoot on her social media pages. 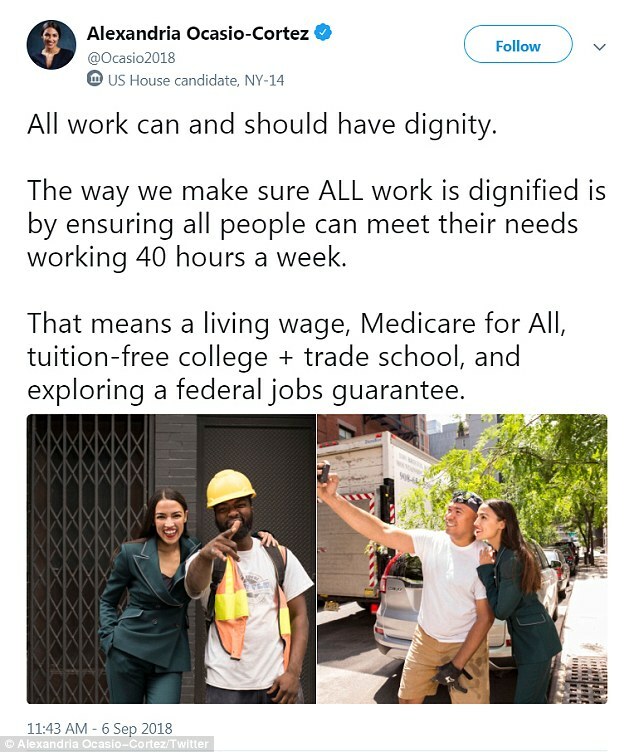 The images, which were taken in the Bronx, show the young politician posed with her arm around one construction worker and taking a selfie with another. In another picture, she is sitting on a graffiti-covered stoop with her arms resting on her legs. Her dark hair is down, and she is wearing bright red lipstick. Gillian Laub, the photographer behind the shoot, shared a snapshot on Wednesday of Ocasio-Cortez wearing the suit while posing with a little girl. Like the person who posted it, many commenters left the word ‘democratic’ out of democratic socialist when describing Ocasio-Cortez. The Reddit post made the rounds on conservative and alt-right outlets, including the conspiracy theory website Infowars. Facebook, Apple, YouTube, and Spotify banned podcasts and pages from Infowars last month. Twitter followed suit this week when it permanently banned accounts from the site and its founder, Alex Jones. 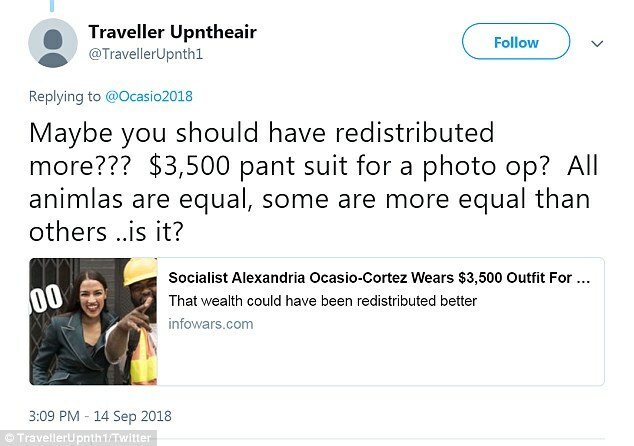 Despite the ban, a few critics tweeted the Infowars article slamming Ocasio-Cortez for wearing a designer suit during a photo shoot. 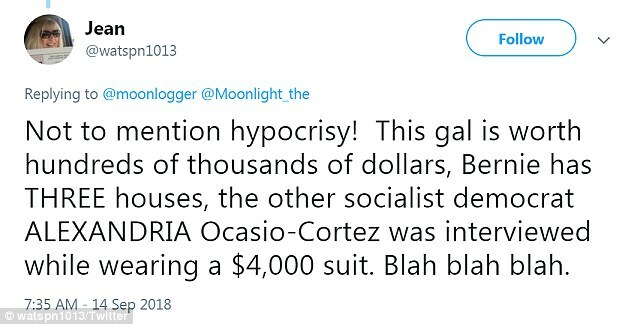 ‘I have no been this upset since Alexandria Ocasio-Cortez wore that green suit,’ Bridget O’Brien tweeted, although it’s not clear if she is being serious or sarcastic. Of course, some appreciated the stylish look. Ocasio-Cortez isn’t the first, and she certainty won’t be the last politician who has worn designer duds while running for office. Hillary Clinton was known for wearing Ralph Lauren suits on the campaign trail, while first daughter Ivanka Trump went from wearing affordable floral dresses from her now-defunct fashion line to modeling expensive designer suits and gowns as a White House senior adviser. Like anyone in the public eye, Ocasio-Cortez’s appearance is under constant scrutiny, but the response hasn’t always been negative. Some supporters are also fans of her fierce lip colors, so much so, that she tweeted about her $22 lipstick in June. 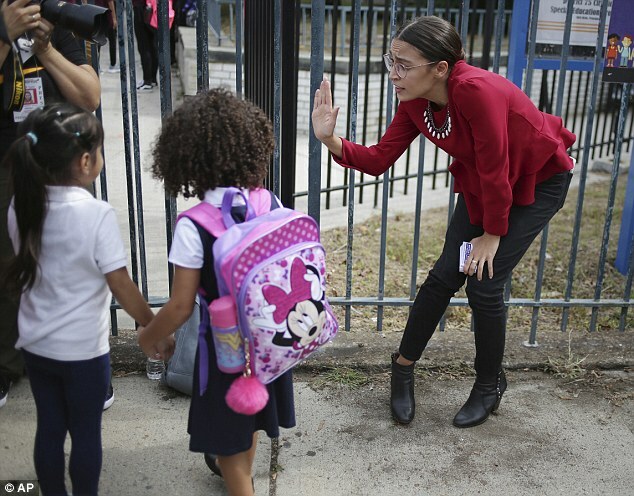 Ocasio-Cortez’s grassroots campaign has been making headlines after she beat House Democratic Caucus Chairman Joe Crowley in New York’s 14th congressional district in a stunning upset in June. The young politician is a member of the Democratic Socialists of America and was endorsed by the group. While on the campaign trail, she often speaks about income inequality, and her platform includes universal guaranteed employment and a $15 minimum wage. 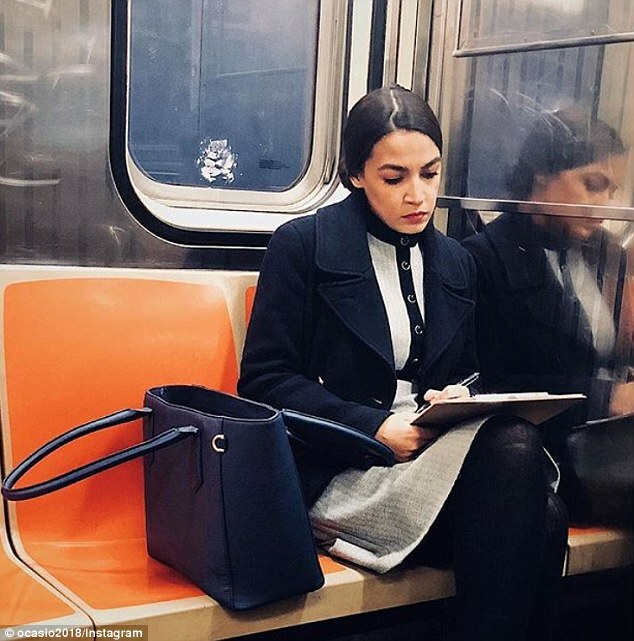 In July, the upstart democrat congressional candidate clapped back at critics who questioned her working class roots as ‘a girl from the Bronx,’ following the revelation she moved to wealthy Westchester County at age five. 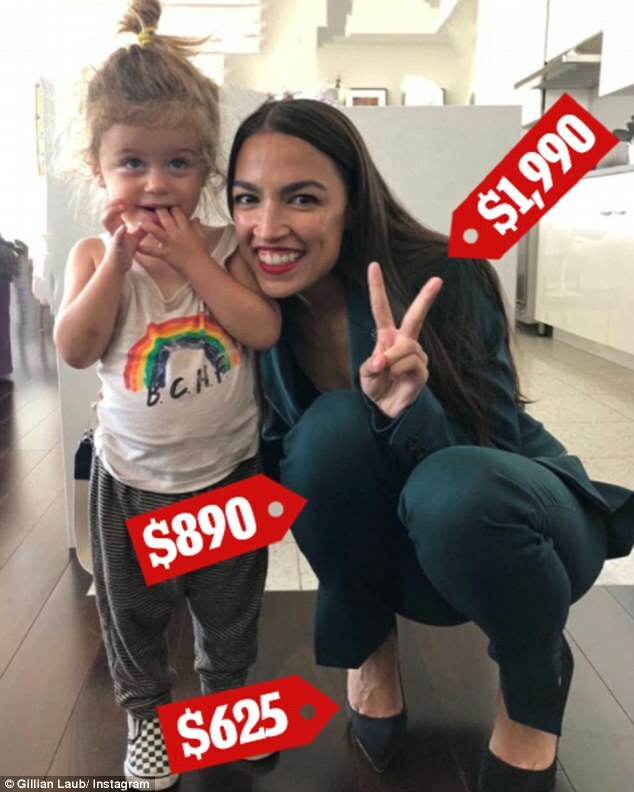 Ocasio-Cortez explained in a statement to DailyMail.com that her family scraped together money for a small home in Yorktown Heights, New York so she could go to public school there, but that her father and other family remained in the Bronx. ‘A major part of my story, and what I’ve shared with my neighbors throughout this campaign, is that I grew up between two worlds,’ she said. ‘At a young age, my entire extended family (aunts, grandparents, etc) chipped in on a down payment for a small home in Yorktown so I could go to public school there. My mom was as a house cleaner for other people in the town so we could get by,’ she added. Little-known before her shock defeat of Crowley, Ocasio-Cortez has featured her own hard-luck biography as a key selling point in her insurgent campaign.